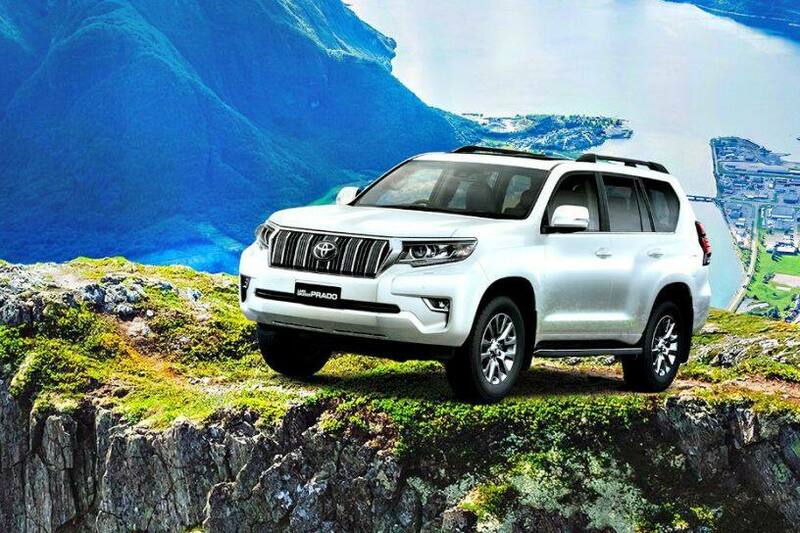 Toyota showcased the Land Cruiser Prado facelift in India at the Auto Expo 2018 in February. Now, the Japanese carmaker has launched the 7-seat SUV in a single variant, the VXL, with a price tag of Rs 92.60 lakh (ex-showroom Delhi). The updated Prado gets a new bonnet, chrome grille and redesigned headlamps with LED projector units and daytime running lights (DRLs). The revised front bumper now houses LED fog lamps. Around the back, the changes include a new tailgate that now sports a number plate housing instead of the spare wheel, new LED tail lamps and a revised rear bumper with rear fog lamps. The refreshed cabin gets a redesigned dashboard that houses an 8-inch touchscreen infotainment system. It also gets a new instrument cluster and an electrically adjustable steering wheel. Other features on offer include heated front seats with active headrests, 3-zone climate control, cruise control and a rear parking camera with sensors. The new Prado also gets Toyota’s Kinetic Dynamic Suspension System (KDSS) along with adaptive dampers with three modes - Comfort, Normal and Sport - and air suspension for the rear wheels. The new Prado is powered by a 3.0-litre, 4-cylinder diesel engine that makes 173PS of power and 410Nm of torque. Power is sent to all four wheels via a 5-speed automatic transmission. The Prado also gets crawl control (with five settings), Multi-Terrain Select, Multi-Terrain Monitor with four cameras and a panoramic view monitor that further enhances its off-road capabilities. Standard safety features offered on the new Prado include seven airbags, ABS with EBD and brake assist, vehicle stability control (VSC), tyre pressure monitoring system and an angle and intrusion sensor. The Prado facelift rivals the Mercedes-Benz GLS and the Land Rover Discovery, which are not only priced in the same ballpark as the Toyota but also offer incredible off-road capabilities. Also Read: Toyota's Upcoming SUV For India – Will It Be The Rush, C-HR or FT-AC?